Police say they are considering a criminal investigation into racist messages exchanged in a secret Facebook group by leaders of the Nazi-linked Soldiers of Odin. 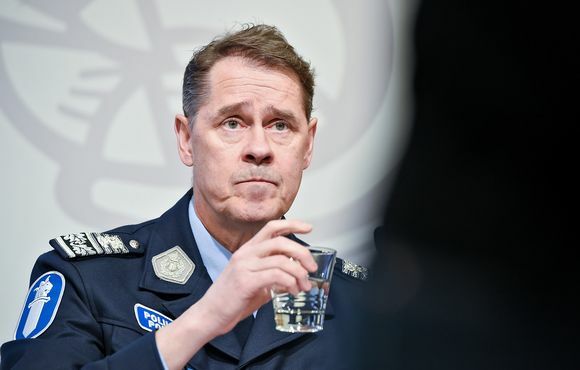 Police chief Seppo Kolehmainen confirmed to Yle that police will try to determine whether or not any of the group’s messages are criminal in nature. In March this year, Yle obtained screenshots of a secret Facebook group maintained by leaders of the anti-immigrant group Soldiers of Odin, which was founded by Kemi-based neo-Nazi Mika Ranta late last year. Among one of the regular greetings used by members of the group is the salutation, "Morning racists." The posts also feature members showing Nazi salutes and include images of Nazi symbols. As reported earlier this week by Yle, leaders also suggested patrolling without insignia so as to be able to engage in attacks more freely, urging members to have "unmarked patrols and zero tolerance for dark skin" and to "hammer anyone who even leans to the left". Police commissioner Seppo Kolehmainen told Yle that officers will be looking into the group’s posts to see if they bear the hallmarks of criminal activity. "We are now evaluating the content of the messages to see whether or not they can be considered criminal. The National Bureau of Investigation is now responsible for the evaluation and on that basis we will determine whether or not to begin an investigation into some message or individual," Kolehmainen said. Finnish news agency STT first reported on law enforcement’s intention to investigate the group and its messages. Soldiers of Odin founder Mika Ranta was convicted of aggravated assault in May. He had previously been convicted of racially-motivated attacks on two immigrants in 2005. Ranta, who was previously a member of the neo-Nazi Finnish Resistance Movement, said he founded Soldiers of Odin, ostensibly to protect nationals following the arrival of asylum seekers in the northern town of Kemi.